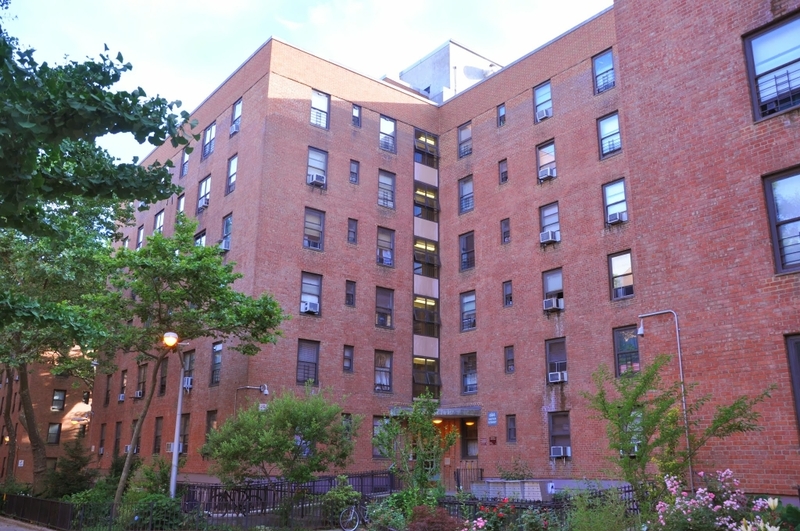 After receiving several complaints regarding space temperature, draft and unit performance and shutting down of existing AC systems at the 6-story residential building, NYCHA engaged Shenoy to conduct a detailed study to investigate the problems and recommend solutions. We found that the building cellar was used as an active senior center and cooling center. Our engineers performed detailed analyses, load calculations, measured ECMs and paybacks, and evaluated various alternatives. We recommended the most feasible and economical options to address existing issues, achieve energy efficiencies while conforming to codes. 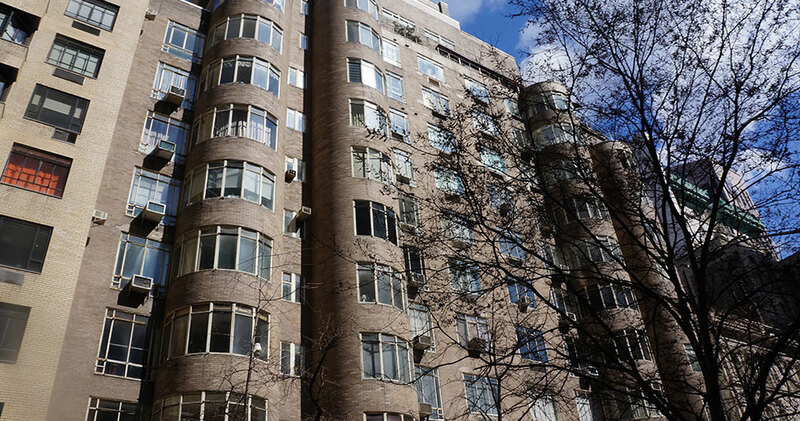 These two landmark 14-story buildings were equipped with window type air conditioners. Shenoy was tasked with conducting detailed studies for improving the HVAC and electric situation. We presented several options to the tenants and the Board which included installing new central Variable Refrigerant Volume (VRV) air conditioning system, PTAC units or Hopper type PTAC units, while ensuring that local laws and landmark preservation guidelines were met. 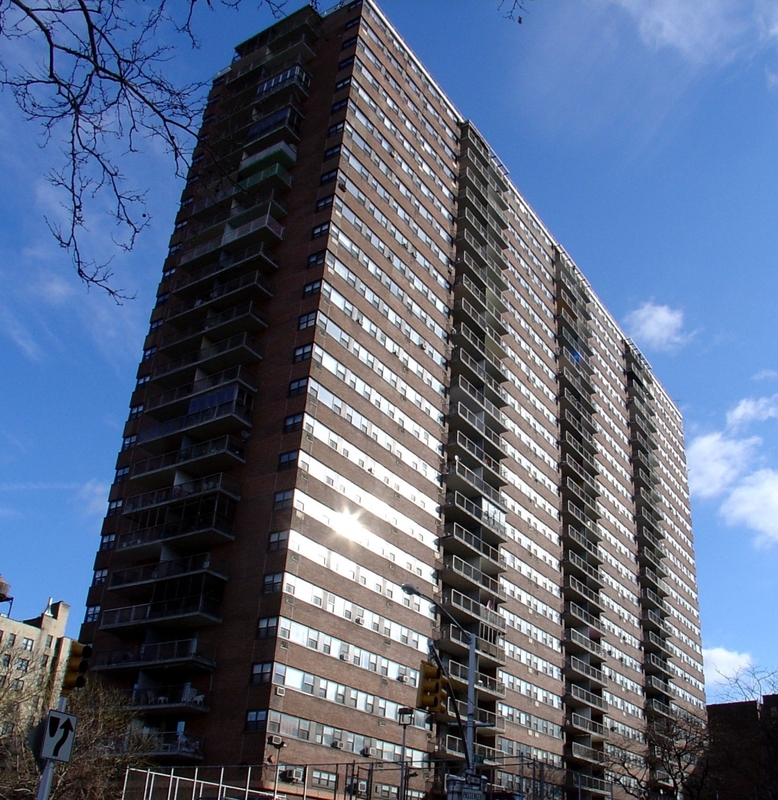 NYCHA engaged Shenoy for energy-related projects at their various residential buildings throughout New York City. For each of these projects, we prepared engineering specifications, detailed systems design and construction drawings. 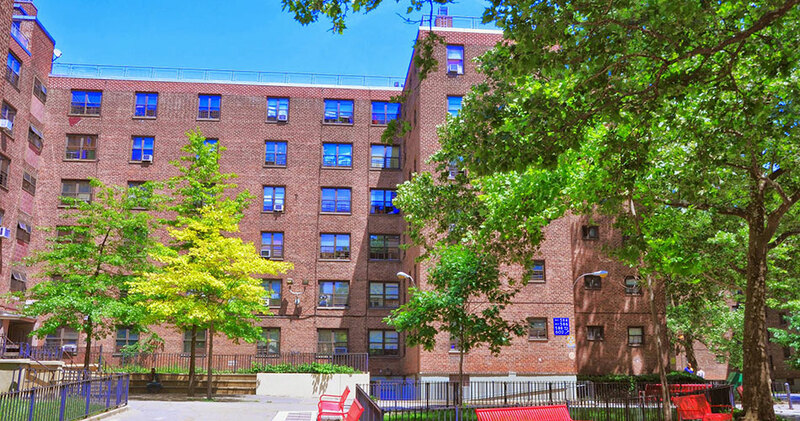 At Marcy Houses, following inspections, detailed assessments and load calculations, Shenoy prepared preliminary design documents for achieving energy savings, lowering gas consumption and improving system efficiencies. Measures included replacing boilers and burners, removing fuel oil pumps, providing gas and carbon monoxide detectors and replacing existing dated electrical equipment including power, lighting & panel boards. 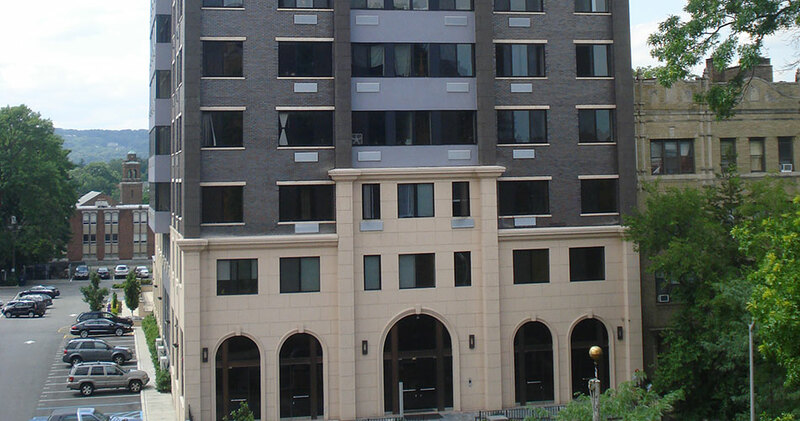 For this new 8-story luxury apartment building, Shenoy was retained to design complete MEP systems. With 301 apartment units, mezzanine, podium, outdoor pool and recreation areas, and 500 parking spaces, the building systems design was complex since each space had specific requirements. Our innovative solution included gas fired split air conditioning system for common areas, and central gas fired water heaters for the domestic water system. Plumbing systems included hot and cold water systems, sanitary and storm systems, fire protection, gas systems with metering, drainage system, and utility connections to the street. Shenoy also designed exterior and interior lighting systems, fire alarm, telephone, intercom, data and security systems. Resident comfort had top priority in as much as the parking garage had to be protected against freeze-ups. 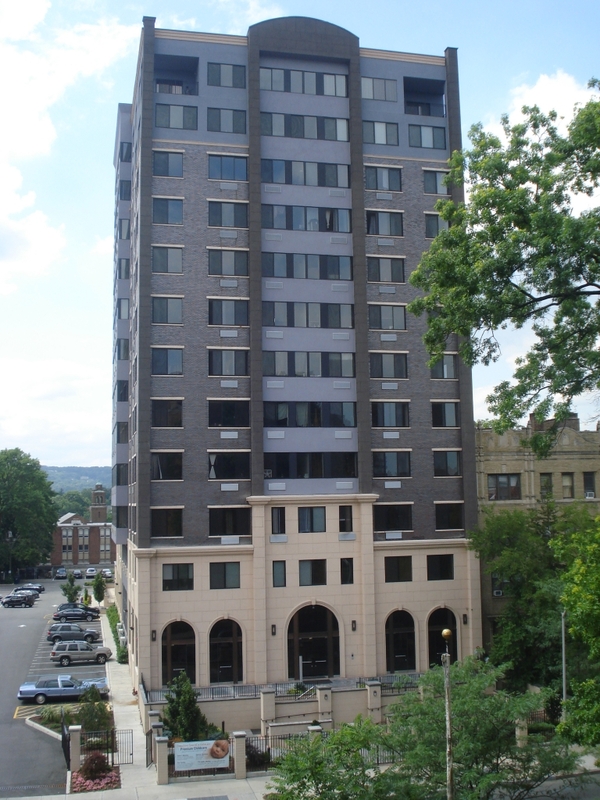 River View Towers selected Shenoy for providing complete design and construction administration services, including architectural, structural, and HAZMAT for upgrade for this 24-story, 380 apartment-building. Our scope ranged from evaluating heating and hot water requirements, asbestos abatement design, design documentation and specifications to construction administration. MEP services included replacing the existing central heating plant, converting to a dual fuel system to utilize natural gas and #2 oil, a new high pressure gas meter room, boiler power and emergency power system design, and new hot water heating system. 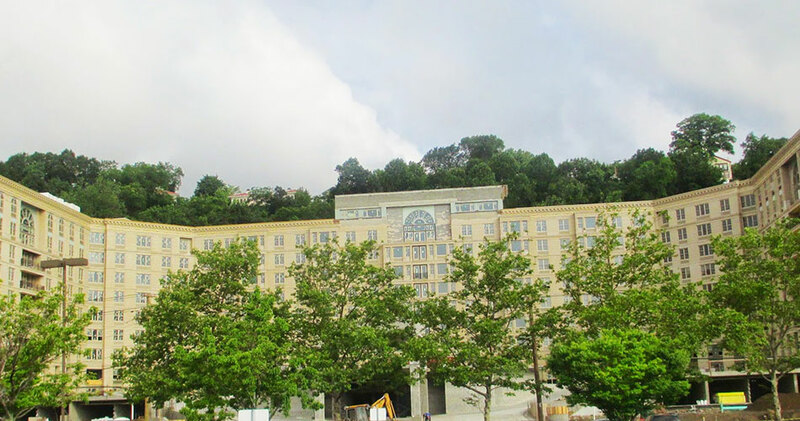 As part of the design team, Shenoy designed new HVAC, Electrical and Plumbing Systems for converting an abandoned 11-story 1927 Suburban Hotel into a 141,000 sf luxury apartment building. The building had open floor plans, mezzanine, large windows, large bedrooms and interesting ceiling treatments. Our engineering services included AC, heating, ventilation, power, interior lighting, fire alarm, telephone, data and security systems. We also designed hot and cold water systems, sanitary and storm systems, gas systems complete with metering, drainage system and all utility connections to mains on the street and code compliant standpipe and sprinkler systems.